Fortnite’s Season 6 is here. 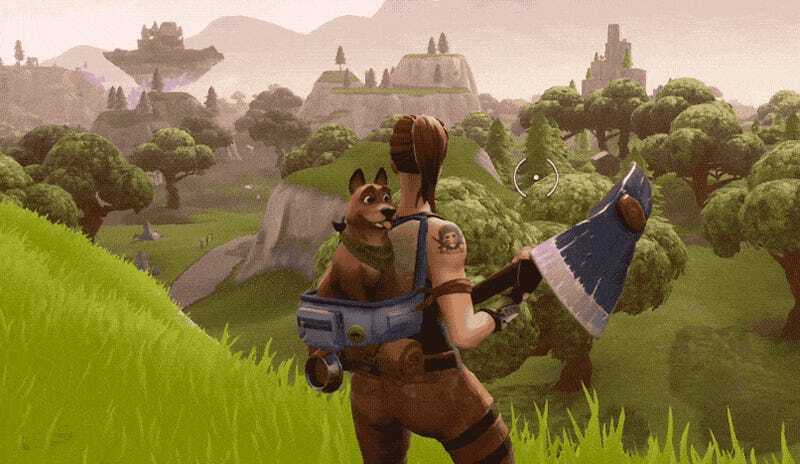 There’s no big event this time around, but there are new items, new areas to get eliminated in, and look at the puppy. Season 5 ended with the game’s long moving cube dissolving into Loot Lake and turning the surface bouncy. With Season 6, the cube has launched an island into the sky. You can fly up to it via the lake’s swirling vortex. It’s pretty cool. More exciting than flying islands, though, are new pets, which ride on your back. I, for the first time in my life, purchased the battle pass in order to get the dog you see at the top of the post. When I jumped off the bus it howled in panic, and I think I heard it bark in defeat when I got eliminated. There’s also a dragon and a chameleon you can unlock later in the battle pass, but why would you choose any pet, real or virtual, over a dog? Other changes include the introduction of “shadow stones,” consumables that turn you invisible when you stand still. You can’t use your weapon when you’re invisible, but you can use your primary fire button to phase through objects. I haven’t seen it in action in a match, but in some ways it takes the place of the vaulted bouncers, letting you make a quick, cyberpunk getaway. On console, matchmaking will now be based on input. Epic says players using mouse and keyboard on PS4 will “now be put into the PC matchmaking pool.” You can switch from KBM to a controller in the middle of the match, but you can’t switch from controller. 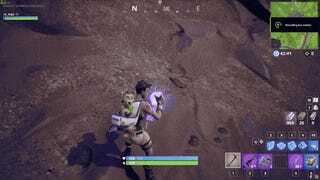 Epic has vaulted the suppressed submachine gun, impulse grenade, light machine gun, and remote explosives as well. Changes have been made to the circle, which now has a shortened wait time for shrinking but takes longer to shrink. There’s a spooky castle at Haunted Hills and some other new map changes I haven’t survived long enough to see. Check out the full patch notes for all the nitty-gritty. It’s a little disappointing not to have a big event, but these changes feel fun, which is what I most want out of Fortnite. Also, dog.